Greek salads are a lovely combination of fresh vegetables, with creamy feta, salty olives, and a tart vinegar dressing. 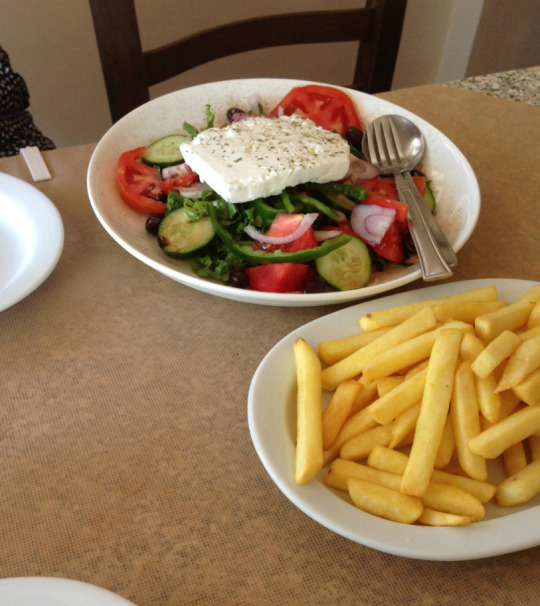 The tomatoes are especially delicious in Greece, sweet and full of flavour. Best enjoyed with a side of french fries or baked potatoes. The Greeks know how to make a sandwich. 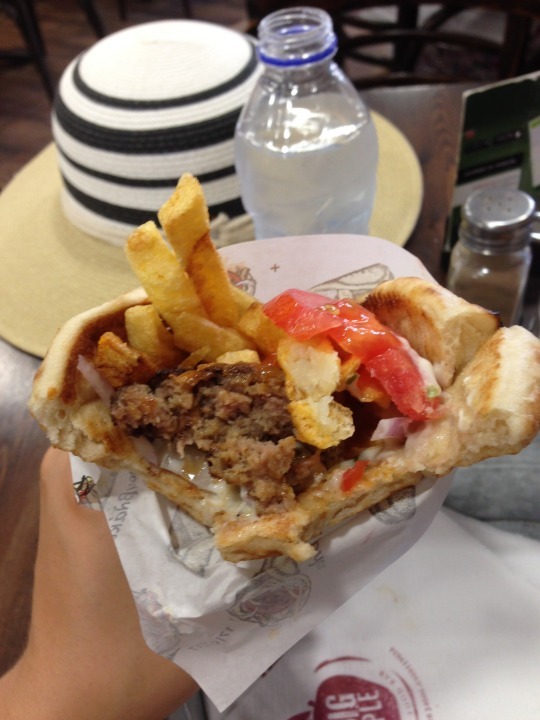 Fluffy pita bread filled with grilled meat, french fries, vegetables, and sauce. Perfect for lunch, dinner or a midnight snack. Hard to pronounce, but easy to eat. This Greek yoghurt sauce pairs well with just about everything and makes a delicious snack when used as a dip for pita bread. I am not a big fan of Greek wine. Sure, there are some good ones, but I most house wines are a little too sour for me. They do brew some good beer though! 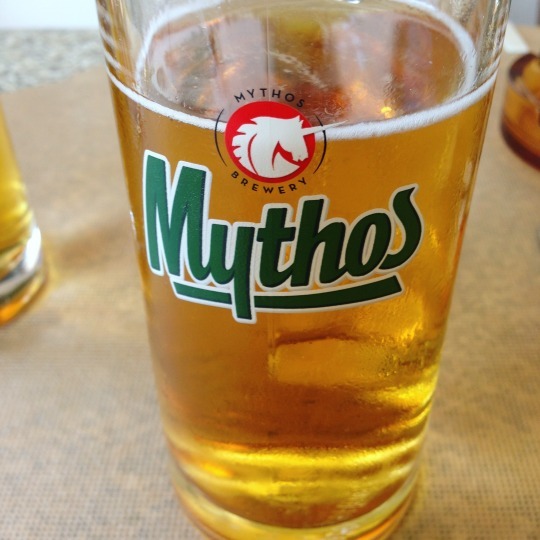 My favourite is Mythos, perfect for cooling off after a day on the beach, with a side of pita and tsatsiki perhaps? 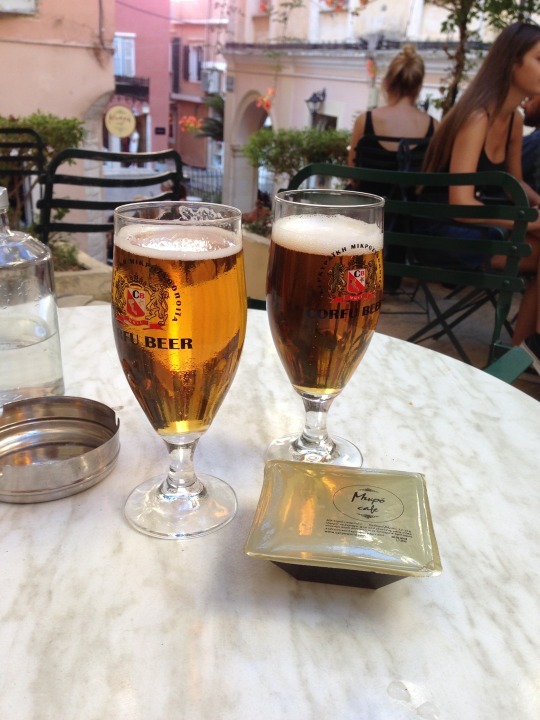 If you’re looking for a local brew, Corfu Red is a great choice. Although originally from China, the tiny citrus fruit thrives in the Corfu climate. They are used in everything from jam to soap, but most notably: liquor. You can buy the bright orange liquid in every grocery store and tourist shop on the island. It is often served in restaurants as a dessert liquor, such as limoncello, although less strong and sweeter. As a Mediterranean island, Corfu serves some fantastic fresh seafood. Grilled, fried, braised, you name it. All straight from the sea. To me, cocktails are the quintessential beach vacation drink. Refreshing, fruity and boozy, they are the perfect accompaniment to a balmy evening. In Corfu, you can enjoy expensive high-end cocktails as well as cheap mixed drinks, whatever you prefer.